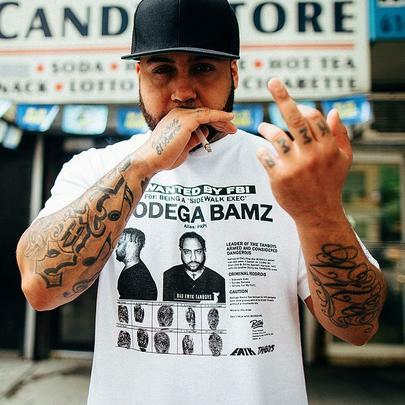 Bodega Bamz was raised in Harlem, New York. His free album Strictly 4 My P.A.P.I.Z. gained him significant buzz in 2012, with features from ASAP Ferg, Joell Ortiz, Aston Matthews, and Flatbush Zombies. Shortly after, he signed with Duck Down Music Inc. and released his debut album Sidewalk Exec in 2015.